But Maria Przystal of Adams Sausages had readily agreed to let me photograph their sausage-making process from start to finish. No restrictions; Przystal says she has nothing to hide. 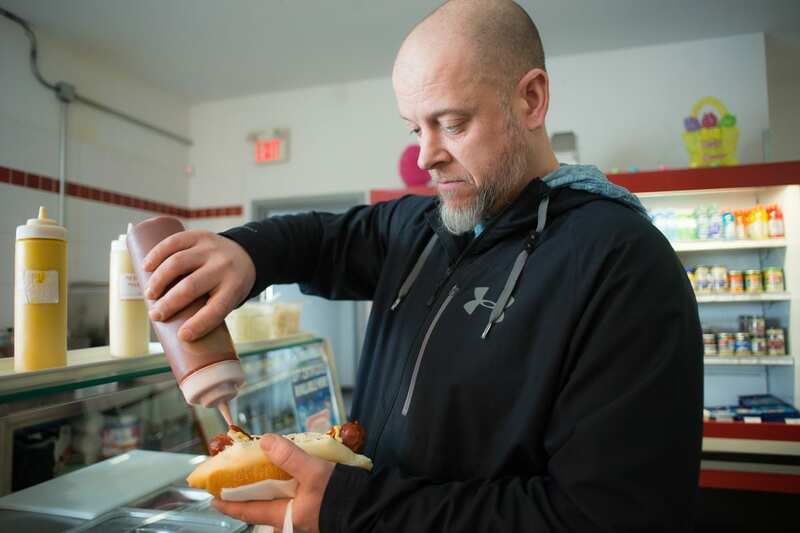 Located on Michael Street just east of St. Laurent Boulevard, Adams Sausages is composed of a store, a deli counter, a lunchtime takeout area, and a sausage factory. 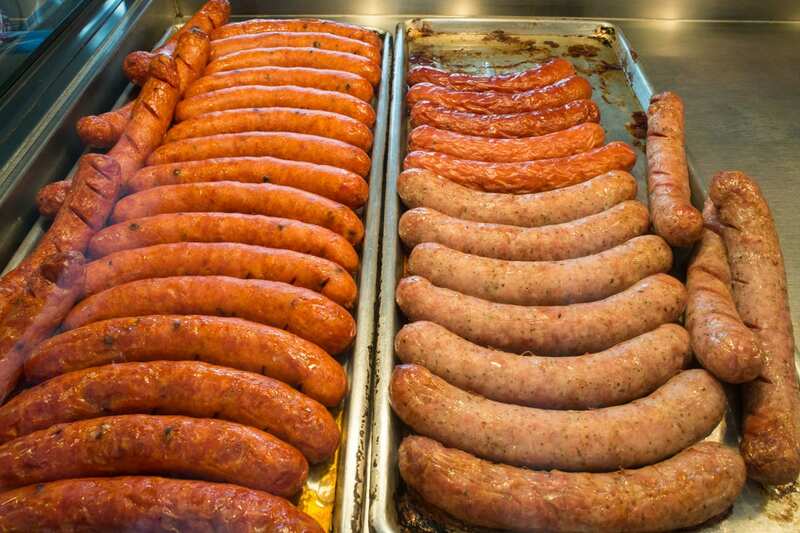 The company makes and sells a wide variety of fresh and smoked sausages and wieners, as well as ham, bacon, and smoked pork hocks. Adams has become a popular lunchtime destination for dozens of nearby factory and construction workers. Joey Kenny comes four times a month to grab a grilled sausage on a bun. His explanation is simple. “Just the flavours of the sausages,” he says as he squirts a line of mustard on his lunch. Before going into the factory area, I need to put on a hairnet and a clean white coat; I also dip my shoes into a tray of germ-killing liquid. Four employees, all men, are busy making sausages. The foreman, Vladimir, takes me to the first station, where large pieces of pork shoulder are being cut down to size. Adams does not process carcasses, instead sourcing big chunks of packaged meat from federally inspected suppliers in Ontario and Quebec. However, to produce wieners, the mixture goes through a second machine with fearsome-looking blades. 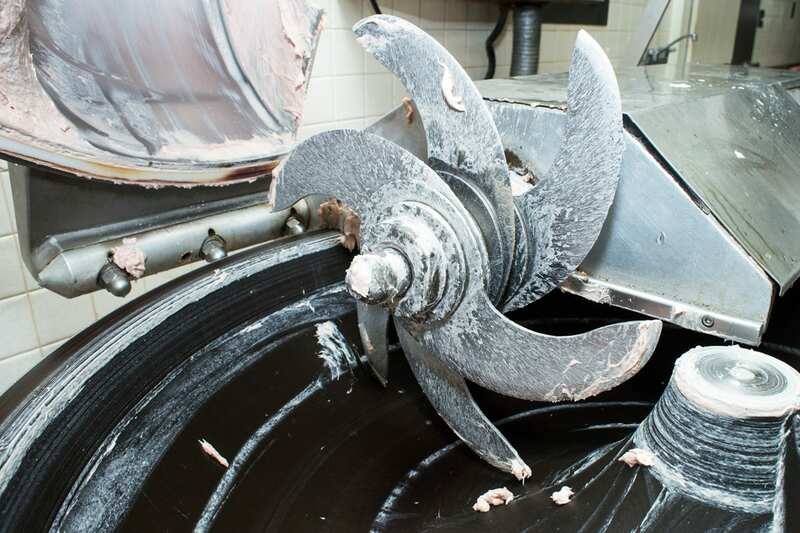 Ice is continually added during the cutting to prevent the blades from overheating. The result is a thick paste that will soon be turned into European-style franks — but first, the paste is flavoured with different blends of spices, which are formulated in a separate room. “No MSG, no gluten, no other chemicals,” Przystal says. 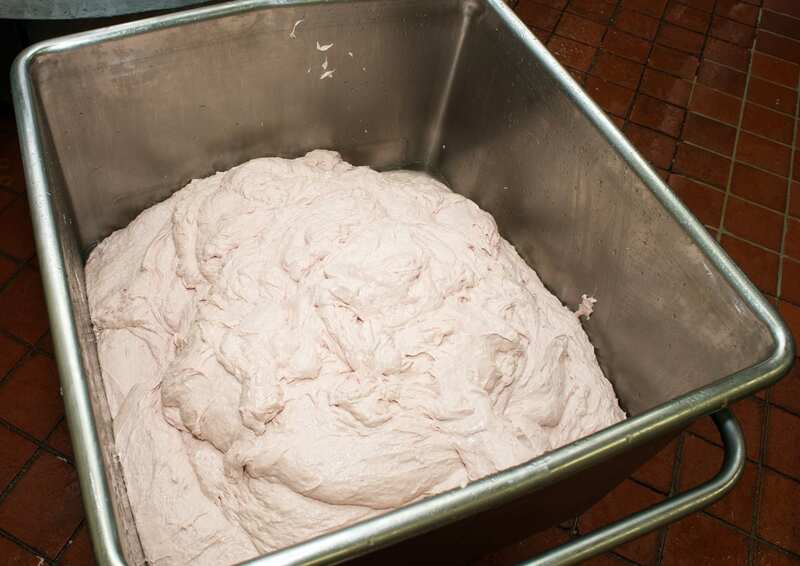 When the filling is ready, it’s loaded into a stuffing machine and pumped from a protruding metal tube into casing. 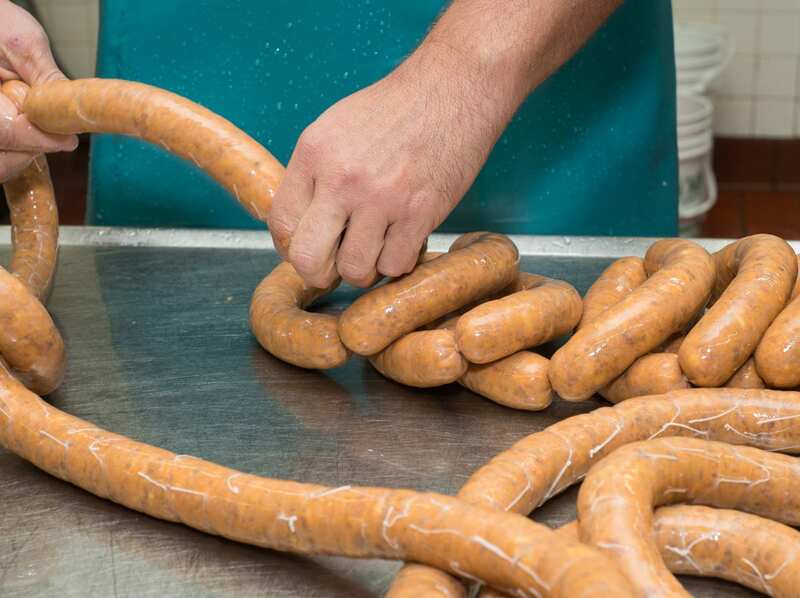 Przystal says because they use only natural sheep or hog casing — which varies in thickness — the individual sausage links have to be rolled by hand rather than by a linker machine. 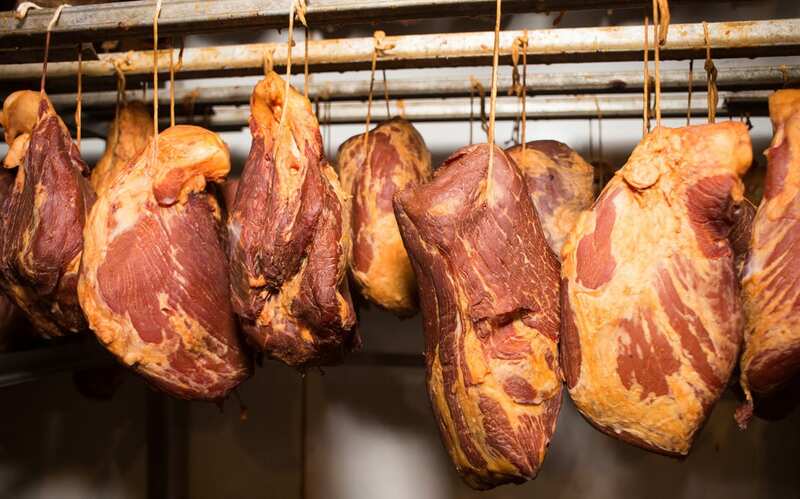 For smoked products, links are placed on racks, then dry-smoked and cooked in a programmed cycle. 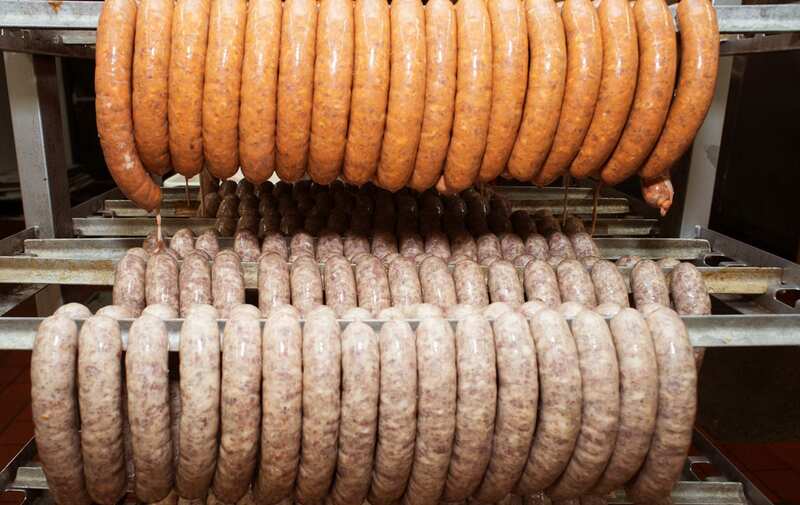 Is there a secret to making good sausages? She stresses that she doesn’t use binders such as flour or milk powder. She says those ingredients produce sausages that retain fat because it’s absorbed into the binding agent. 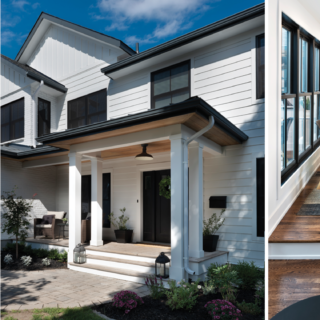 Przystal credits her late husband, Adam, for establishing the business. Przystal was born in Poland; her parents were refugees from Greece. 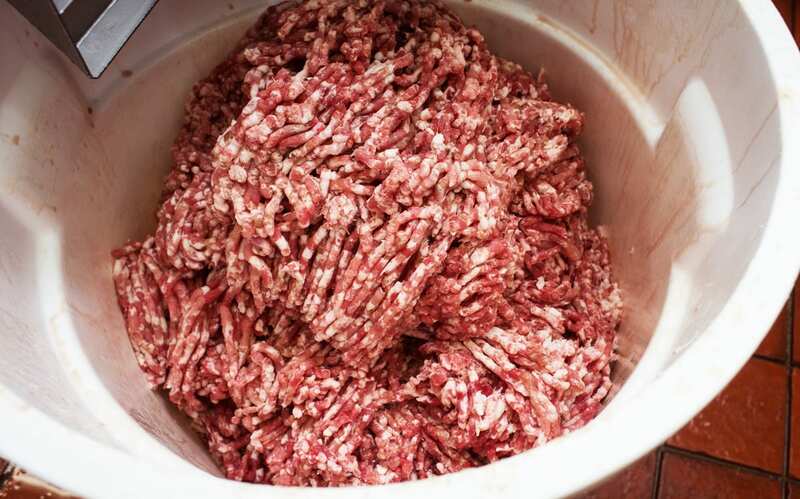 When the couple moved to Canada in 1980, they worked together in a sausage factory in Toronto: Adam was involved in sausage-making, she worked as the janitor. 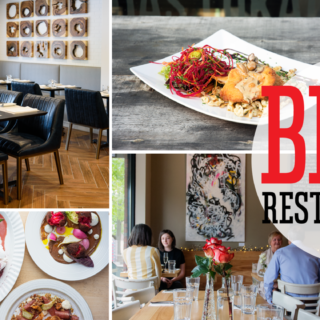 When they moved to Ottawa in the mid-’80s, the couple invested in a deli in the ByWard Market. 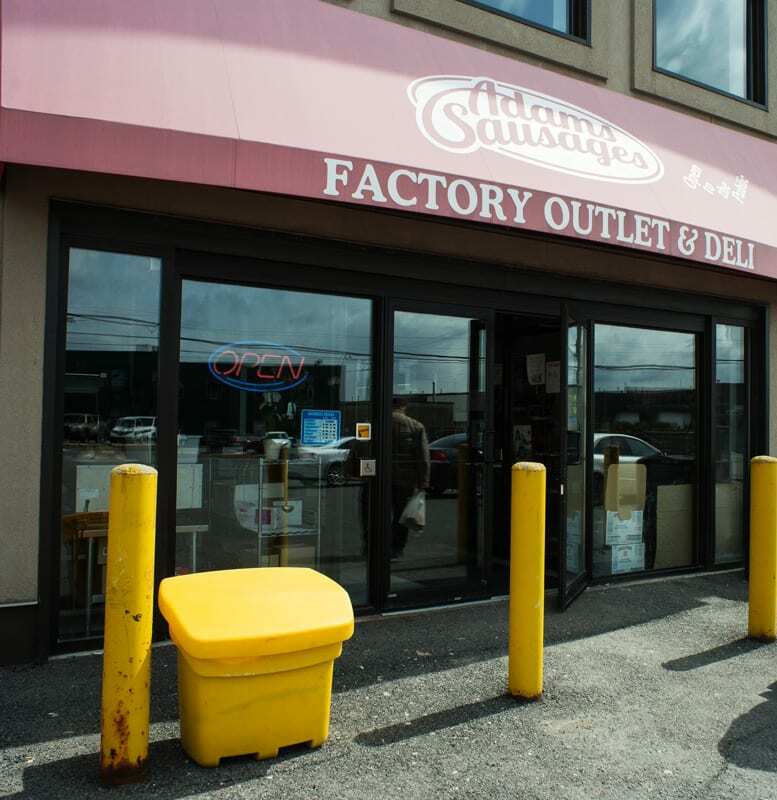 Adams Sausages has been at its current location near St. Laurent since 2008. There, you’ll find plain old frankfurters and the larger knackwurst and weisswurst varieties. Feeling adventurous? There are two types of headcheese. 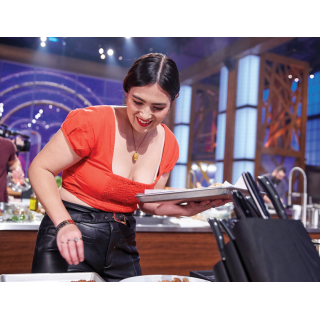 Although it is traditionally made with meat from the hog’s head, Przystal says she now uses only meat from pork hocks. Jellied tongue and blood sausage can also be found.